Adderall is a well-known stimulant medication that’s used to treat attention deficit hyperactivity disorder (ADHD) and narcolepsy. It’s a combination of amphetamine and a psychostimulant that increases dopamine and norepinephrine in the brain, resulting in increased energy and sharper focus. For those with ADHD, it treats symptoms of disorganization and focus difficulties that make accomplishing schoolwork and other responsibilities problematic. Its effectiveness has made it an incredibly popular drug, with the sale of Adderall and similar drugs like Ritalin reaching nearly $9 billion in 2012. Adderall Neurotoxicity: Just How Dangerous Is It? Adderall Tolerance: Can You Decrease It? The Risk of Adderall Dependence: How Serious Is It? What Are the Key Differences Between Adderall & Vyvanse? Working Out on Adderall: Is It Safe? Unfortunately, the increased availability of these drugs has resulted in an epidemic of their abuse. In recent years, Adderall abuse and general nonprescription use has risen sharply, especially among young people and athletes. Though it shouldn’t be addictive if taken as prescribed for a condition like ADHD or narcolepsy, abusing the drug by taking large doses or crushing the pills to snort them for a euphoric high can and does lead to addiction. These stimulants can also lead to some fairly serious health issues, especially if they’re abused on a long-term basis. Especially in those without disorders like ADHD, taking Adderall results in a period of high energy and intense focus. Students find that they can get more done on the drug than they ever could without it and even stay up for days if they go on an extended binge. The downside is that coming off Adderall produces a “crash” that creates opposing symptoms, like fatigue and brain fog. Busy young people may then take more of the drug to eliminate the unpleasant effects of the crash, resulting in a cycle that can lead directly to addiction. In 2011, 1.7 percent of 8th graders, 4.6 percent of 10th graders, and 6.5 percent of 12th graders in the US reported past-year nonmedical use of Adderall, according to a report by the Medicine Abuse Project. In the same year, 31 percent of college students reported use of prescription stimulants during their time in secondary education and 61.8 percent reported being offered one of these drugs at least once. The availability of these drugs to young people without a prescription appears to be alarmingly high, likely fueling their widespread use. In addition to young students, Adderall has also become a common performance-enhancing drug among athletes. The drug increases endurance, muscle strength, acceleration, and alertness along with energy, making it useful in just about any sport or physical activity. Though nonmedical use of amphetamines are prohibited by anti-doping regulations in college and professional sports, it remains a problem among athletes. It’s become such an issue that it’s difficult to get an exception to this ban in the NFL, NBA, and MLB even if the drug has been prescribed by a doctor. Adderall got some bad press after a couple cases were reported of children suffering sudden heart failure and death after taking Adderall. It was never confirmed if the medication was directly responsible for these deaths, but the drug is linked to potentially dangerous side effects as well as long-term health problems if abused for a long enough period of time. These alone are generally not a problem, but underlying heart and blood pressure issues can make Adderall dangerous. In rare cases, seizures or breathing problems can occur that require immediate medical attention. An overdose of Adderall is considered a medical emergency, and immediate medical care is required. According to a study published by the Journal of Clinical Psychiatry, emergency department visits related to Adderall abuse increased by 155.9 percent from 2006 to 2011. The long-term effects of Adderall abuse are mostly psychological. Though the initial sensations produced by an Adderall high can be very pleasant followed by elevated mood and increased productivity, too much use of this drug over time will cause the brain to produce less of its own chemicals that cause these positive effects. This is what is known as drug tolerance. As the brain tries to compensate for the unnatural source of dopamine and norepinephrine, the user needs to take higher and higher doses of the drug to get the same effect, and the brain produces even less of its own natural chemicals. Eventually, an individual may not be able to feel normal without the drug. This is a key component of addiction. At this point, if the person stops taking Adderall, withdrawal symptoms will appear as the brain must take time to increase its production of the chemicals that produce energy, focus, and alertness. Deficient of dopamine and norepinephrine, addicted persons experience symptoms like depression, extreme fatigue, irritability, mental confusion, lack of motivation, and anxiety. For some particularly heavy or long-term users, many of these symptoms don’t ever completely fade. The appetite suppression and chronic constipation associated with Adderall can also cause nutritional deficiencies that can cause a wide range of health problems that may be irreversible if abuse of the drug continues for a long enough time. According to the National Institute on Drug Abuse, 1.1 million Americans abused prescription stimulants like Adderall in 2010. Not everyone who abuses a drug will become addicted, but those who do put themselves at significant risk of overdose and serious, sometimes permanent health issues. Addicted individuals will experience severe and very unpleasant withdrawal symptoms and cravings when coming off Adderall, but this is not all there is to addiction. Addiction is classified as a chronic brain disease, and most people will need professional treatment to successfully quit. Fortunately, there are many treatment options for those willing to seek them out. When it comes to prescription drugs, it’s often simplest to have addicted individuals taper off their dose of the drug in order to make cravings and withdrawal more manageable. There are also options for immediate or “cold turkey” detox in which individuals stop taking the drug all at once. 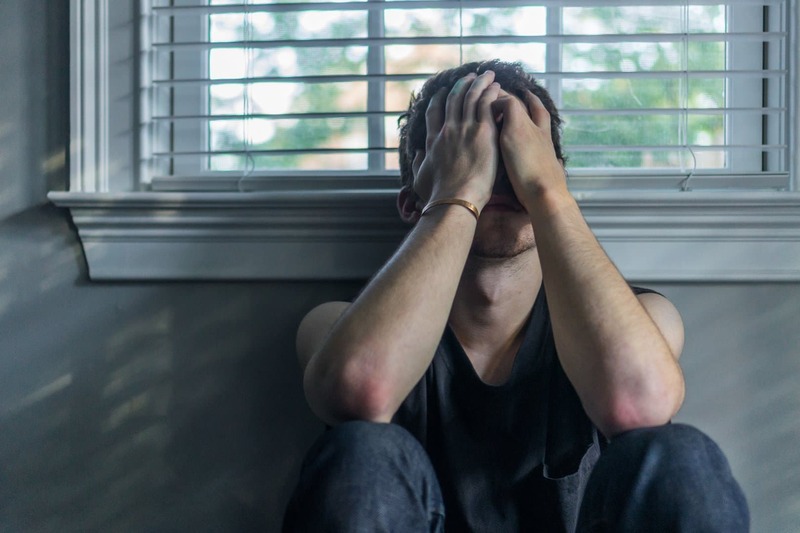 Though stimulant withdrawal is not dangerous like it can be with other drugs, the symptoms can be very difficult to endure, which is why professional help is so necessary. Treatment centers often provide options for medically assisted detox in which clients can stay in a hospital setting for the duration of the withdrawal period. This way, any symptoms that arise can be immediately treated or even prevented with medication. After detox, it’s important that addicted individuals go through a period of rehabilitation treatment. Most treatment centers offer inpatient and outpatient options to fit the needs of as many clients as possible. Rehab helps to teach clients about addiction and give them the tools needed to keep from relapsing. In addition, therapy can explore the causes of the addiction such as co-occurring mental illness or life stress. Inpatient facilities allow clients to avoid any temptation during the worst period for cravings as they stay in the center fulltime. Once rehab is completed, it’s highly advisable for recovering individuals to engage in aftercare. This refers to long-term, ongoing therapy; regular attendance of support group meetings; or any other regularly scheduled activities that keep people on track in their addiction recovery. Many addiction specialists don’t view addiction as something that can be cured, as relapse can happen even many years after rehab has been completed. If this does happen, treatment centers and addiction professionals are always available for another round of detox and treatment. Relapse is not a failure of character or treatment. It’s simply a road bump that can be overcome with the right medical treatment.